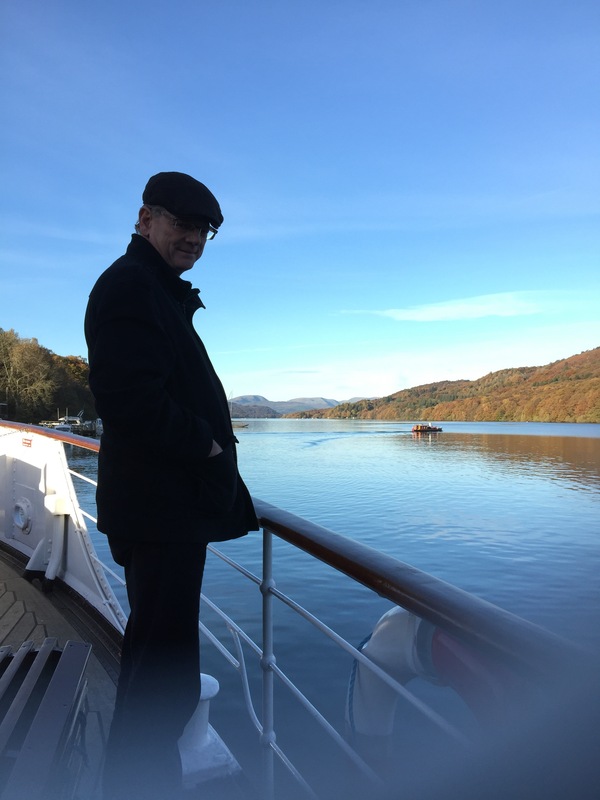 We’ve lived an hour from Lake Windermere for 16 years and visited a multitude of times but never before gone on a lake cruise. We’ve been across the lake on the ferry, but that isn’t quite the same. 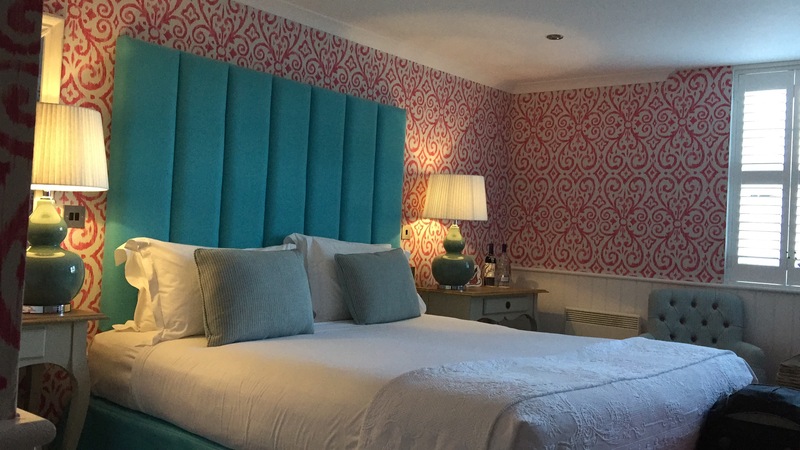 We were gifted a stay at The Swan Hotel in Newby Bridge and when we arrived today it was gloriously sunny for November and it seemed a rather good use of our leisure time because we may not get many more sunny days before winter sets in. 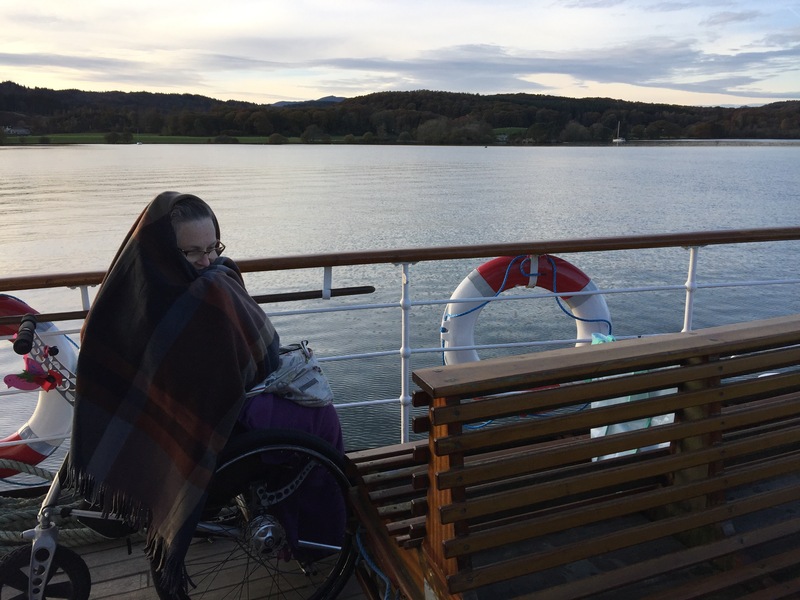 We sailed from Lakeside up to Bowness on a large steamer which was very easy for wheelchair access. Hubby and I absolutely love spending time on the water and the weather and scenery did not disappoint. Parking was easy and not too expensive for up to 10 hours. Access into the steamer was on flat ground and then across a sturdy gangplank with good access and seating inside or a bit of space on the same deck if you’re brave enough to venture outdoors. It may have been sunny, but it is always so much cooler on the water and especially at the front of the boat. After 40 minutes we arrived at Bowness where we had to disembark and change boats for our return trip to Lakeside. Getting back was not accessible if you cannot walk or transfer because it was the last boat of the day and much smaller. Getting aboard was fine, but we were warned that at Lakeside we wouldn’t be able to roll off. The crew were very helpful and even offered us a free taxi for our return but we said we were sure to manage because I can walk a few steps when necessary. On our arrival the gangplank was only suitable for walking across as it was very narrow, and then three steps. Hubby hoisted my K-2 over and up the stairs and in no time I was seated. 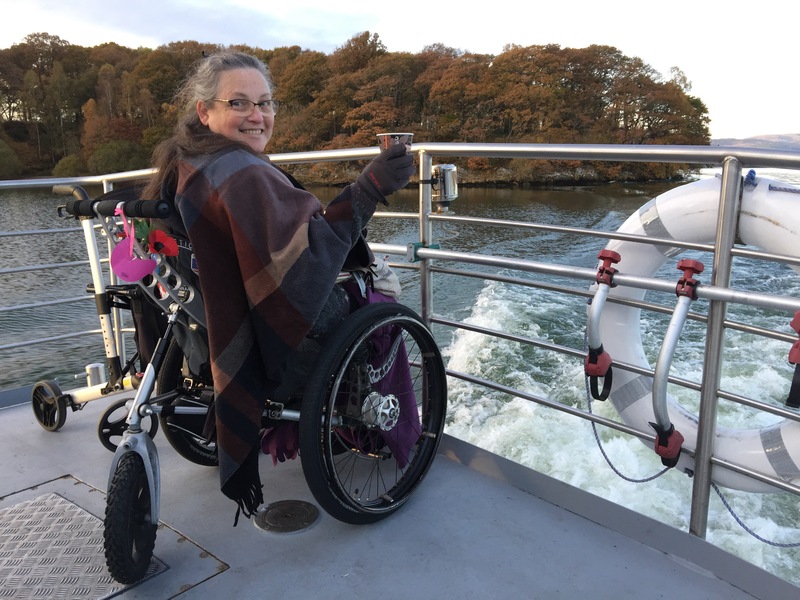 Please check before you book to make sure your trip both ways has suitable wheelchair access if you cannot walk or transfer at all. Despite this, it was definitely worth the trip and I can recommend it. Another great day out with ‘youmeandk2’.